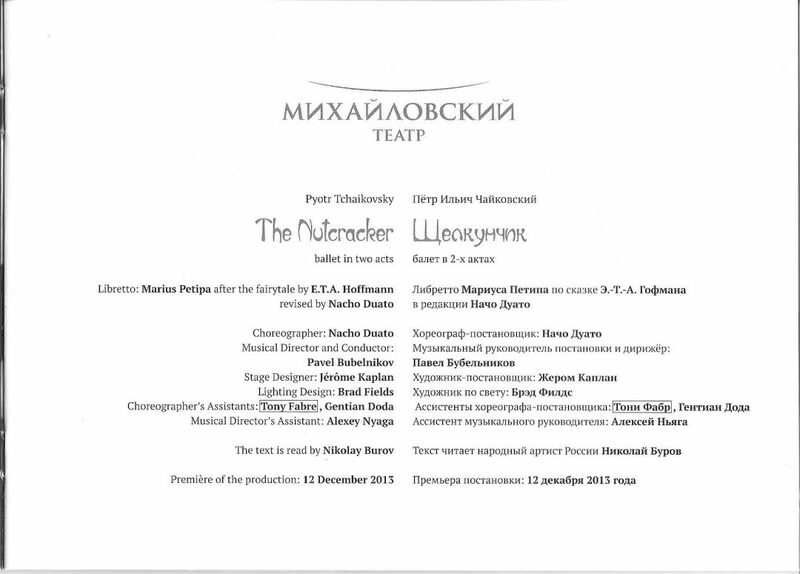 The Nutcracker (Russian: Щелкунчик, Балет-феерия / Shchelkunchik, Balet-feyeriya; French: Casse-Noisette, ballet-féerie) is a two-act ballet, originally choreographed by Marius Petipa and Lev Ivanov with a score by Pyotr Ilyich Tchaikovsky (op. 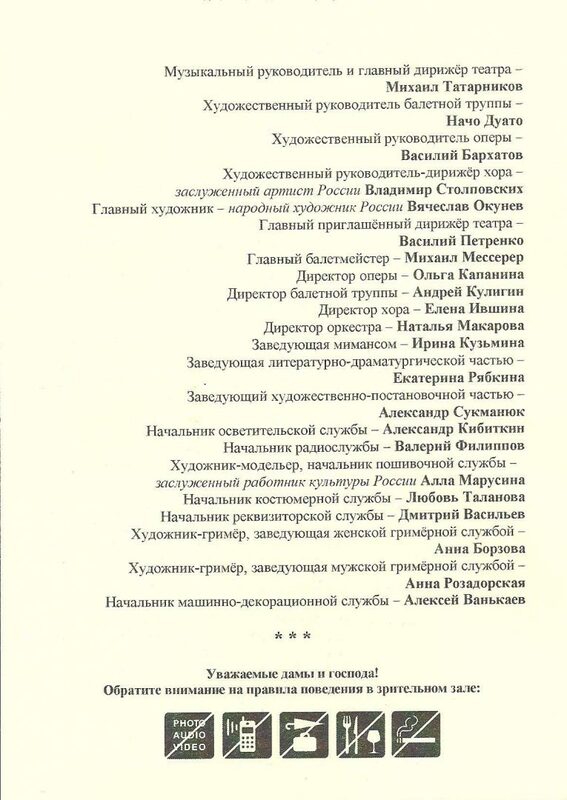 71). The libretto is adapted from E.T.A. 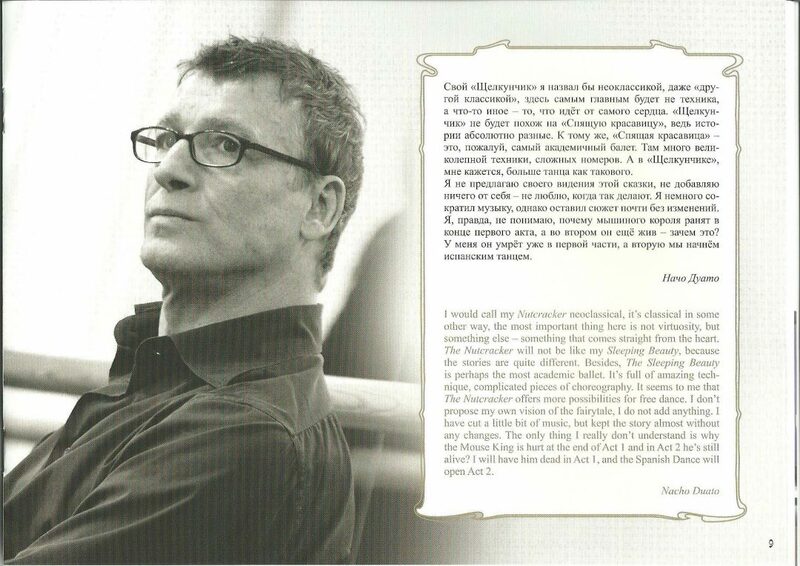 Hoffmann’s story The Nutcracker and the Mouse King. 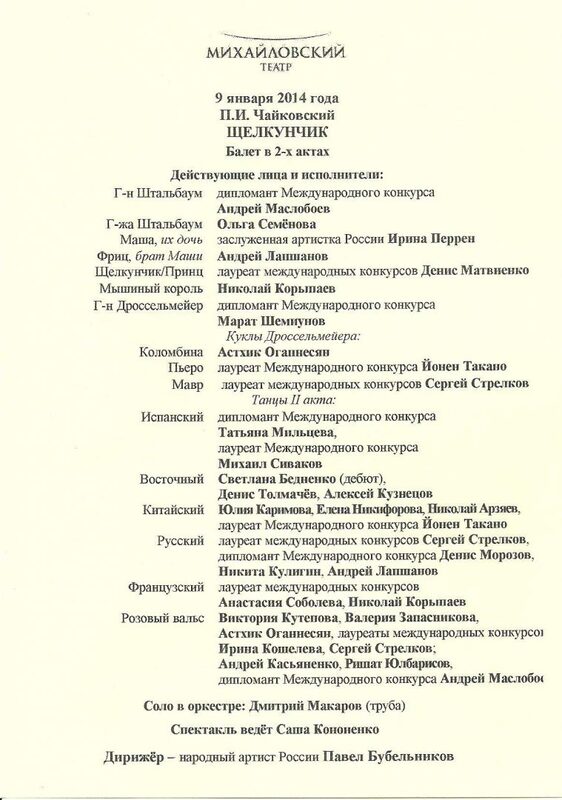 It was given its première at the Mariinsky Theatre in St. Petersburg on Sunday, December 18, 1892.